The channel has rolled out a marketing campaign headlined 'Shanivaar Ravivar only for Parivaar', to promote the change. Disney Channel, the flagship kids' entertainment channel from Disney India stable, is all set to chase adults now. Taking a cue from the growing co-viewing (parents/families watching kids' channels with the kids in their house) trend in the genre, the channel decided to reposition itself aiming to expand its audience base and increase the involvement of the "other family members" on the channel. Disney Channel turned 10 on December 17 and unveiled its new packaging and logo. 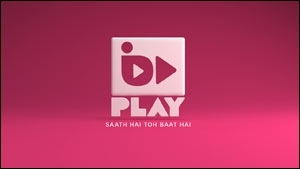 On the same day, the channel also rolled out the new brand campaign created by Taproot India. The campaign talks about the fact that soon Disney Channel will start airing weekend shows meant for families to watch together. The campaign thought is 'Shanivaar Ravivar only for Parivar'. Vijay Subramaniam, VP - content and communications, Disney India Medianetworks says that, worldwide, Disney is a family entertainment channel. "It's in India that we started off as a kids' channel but, over time, we have seen the channel getting great amount of parental approval. The thought was that it is the right time to start entertaining the other members of the family." Towards the end of January, Disney Channel India will launch five new live action shows that will cater to Indian families. The light-hearted, humorous shows will occupy the weekend prime-time slots and will be pitted against the shows of Hindi general entertainment channels. The animation-centric channel will give almost 30 per cent weightage to live-action properties post the launch of the five shows. These shows will also be repeated during weekdays in the evening primetime band. On weekends, besides the live-action shows, the channel will air movies from Disney's international and domestic library - both animation and live-action. "We will use live action to curate some of our animation content. The idea is to make these shows an entry point. They will also help Disney movies get sampled more," Subramaniam avers. Though it has English, Tamil and Telugu feeds, the shows will only be aired in Hindi. While the launch dates are still not confirmed, the shows are expected to air from 7 pm onwards on Saturdays and Sundays. The first show in the programming line-up announced is 'Maan Na Maan Mein Tera Mehman'. The show, produced by Optomystix, is about the Rajas, an urban "happy go-lucky family" which discovers an ancient photo frame on an adventure trip. They soon understand that the photo frame brings to life any person whose picture is placed in it. The guests - sometimes uninvited - can leave only after completing the task they have to come to accomplish. The episodic show will witness a new character, or rather guest arriving at their house every time. 'Kabhi Aise Geet Gaya Karo' aims to celebrate the unity, values and ethics of the tight-knit Chaudhary family. Each of them has a distinct personality and their love and respect for each other unites them. It is this unity that enables the family to face all challenges life throws at them with a smile. Produced by Cinevistas, the show is about a family that keeps no secrets and upholds traditions, including simple ones like a family picnic every month. The third show, 'Goldie Ahuja Matric Pass' from The Troublemakers, is about a resourceful, ingenious, 40-year-old trader who discovers that his uncle has left him an inheritance with a condition - that he needs to complete his schooling to be eligible for the inheritance. Goldie, a high school dropout, is forced to go back to school and as luck would have it, finds himself in the same school that his wife teaches in and the same class as his very own son. The fourth show to be launched is named 'Lage Raho Chachu' while the name of the fifth show is yet to be finalised. The shows are finite and as the time goes, the channel will be looking at launching more such shows to keep audiences intrigued. Disney Channel is also open to launching non-fiction properties if they fit well with the channel's new positioning. Disney Channel's core audience is C&S 4-14 years. 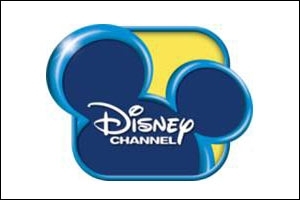 According to the channel, 3.6 million kids tuned in to Disney Channel in its first year. 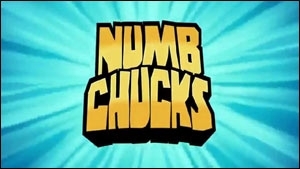 At present, the channel reaches out to 24.9 million kids. "Disney Channel has always enjoyed a significant share of co-viewing with adults tuning in along with kids. Today, 31.3 million adults (C&S 25 +) enjoy Disney's content compared to 6.6 million in 2005," says Subramaniam. Disney Channel also added that in the last 13 weeks, 82.7 million adults (C&S 25+) tuned in to television during weekends, giving it hope that the introduction of live-action content on Saturdays and Sundays will do well. Interestingly, because of co-viewing, a significant number of non-conventional advertisers have been reaching out to these audiences. These include water purifier brands, printers, washing machines and cooking oils. While almost all the big media networks have Hindi GECs, Disney India has shied away from making a foray into this genre. The latest development seems to be a hint of things to come. Nikhil Gandhi, VP and head of revenue for media networks, Disney India shares that with the introduction of the new live actions shows, technically the channel will not be a "kids' entertainment" channel only. "We want to gradually move into that space and not take a plunge directly. So once this develops and starts growing, we will look at the EPG change from the distribution point of view," Gandhi says. For the channel to shift from the kids' entertainment to general entertainment category on the EPG (electronic programme guide), it will have to pay more carriage fees. According to Gandhi, "carriage fee is a function of availability and also our relationship with the MSOs. More importantly once this comes to the maturity of all the shows being popular, this will be driven by the MSOs and DTH providers asking us to move to the GEC space. We don't have any plans to launch a GEC, but if we see this as an opportunity to move into a new audience set, a new set of demographics and if it does well for us, we'll see."